Bobby Brown Says His Daughter Bobbi Kristina Is "Awake"
Bobby Brown told the audience at a concert in Grand Prairie, Texas this weekend that his daughter with the late Whitney Houston is “awake” nearly three months after she was placed into a coma. TMZ has a clip (embedded below) of Brown making the announcement this past Saturday, in which the singer tells the crowd, “I can say today: Bobbi is awake. She’s watching me.” Brown didn’t elaborate, and the Atlanta rehab center, where Bobbi Kristina was moved to last month, hasn’t made a statement confirming Bobby Brown’s remark. Gordon is reportedly being investigated by police for his suspected involvement in the case, and Bobbi Kristina is believed to have been abusing drugs, including cocaine, in the months leading up to her being found unconscious. Update 2, 3:27 p.m.: Another source tells the New York Daily News that Bobby Brown’s statement is false, and that Bobbi Kristina remains on life support. 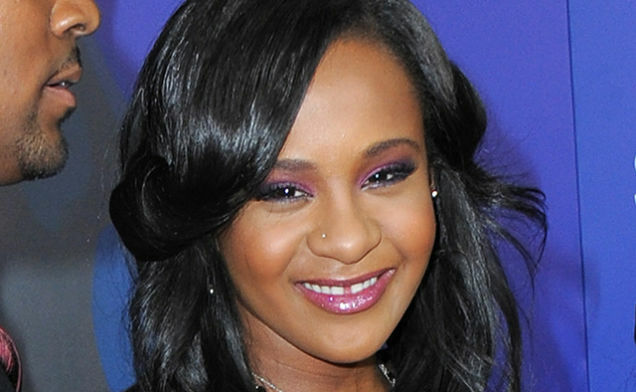 Update, 1:06 p.m.: The Houston family, meanwhile, has told TMZ that Brown is wrong, and that Bobbi Kristina is still in a medically-induced coma. “She’s in the exact same condition she was in when she went into the facility,” a family member told the tabloid. Image via AP. Contact the author at aleksander@gawker.com.